I love that's it wood, sigh*. I only wish it wasn't so expensive. 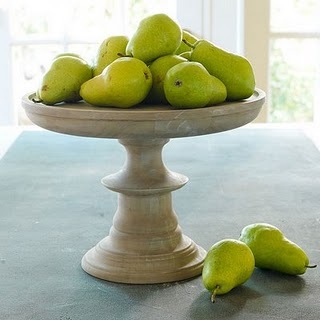 I also became smitten with these when I saw them in the Crate and Barrel catalog. I love the ruffle detail and I could buy both for less than the price of the wooden one. 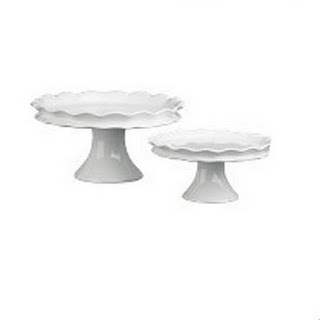 I really do just love a pretty cake stand. * I was lucky enough to do a guest post over at Blog Goggles today. Check it out if you would like. It's all about my signature style or lack of, ha!